WASHINGTON (September 18, 2018) – (RealEstateRama) — As technology continues to transform and modernize the real estate industry, Realtors®, members of the National Association of Realtors®, are focused on adapting to and remaining at the forefront of this change. Last month, NAR kicked-off the inaugural Innovation, Opportunity & Investment Summit in San Francisco, where Realtors® joined real estate technology companies and the investment community to discuss evolutions in real estate technology and strategies for Realtors® to keep up with these trends. “During the iOi Summit, Realtors® collaborated with leading technology firms to identify Realtor®-friendly technology tools and resources. The summit is a part of an ongoing process of creating a dynamic, competitive real estate market that will help NAR advance our members-first mission for years to come,” said NAR CEO Bob Goldberg. Following the iOi Summit, NAR developed a survey focused on Realtors® day-to-day use of technology and analyzed ways technology continues to change how Realtors® and real estate businesses operate. According to the 2018 REALTOR® Technology Survey, Realtors® have spent countless hours and millions of dollars advancing real estate technologies and keeping up with the latest trends in order to further their business. “The iOi Summit and the Realtor® Technology Survey are both initiatives that help us better understand Realtors® use of technology, embrace change and identify the business technology tools of the future. Both are part of my vision as CEO, advocating for technologies that are Realtor®-centric and ensure a competitive market for consumers throughout the real estate transaction,” said Goldberg. Realtors® always stay in touch with the latest trends buyers want in their homes. The survey found that Realtors® are most familiar with security devices (19 percent), home-connected wearable devices (12 percent), and home comfort devices (12 percent). While the majority of agents are satisfied with the technology tools provided by their broker, they do want some additional tools. When asked what additional technology tools Realtors® would like to see their broker provide in the future, respondents most wanted to see predictive analytics (36 percent), CRM tools (35 percent), and transaction management software (25 percent). The 2018 Realtor® Technology Survey was based on data collected in March 2018. The survey was e-mailed to NAR members, including Realtor® brokers, managers and agents, and generated 2,525 usable responses. 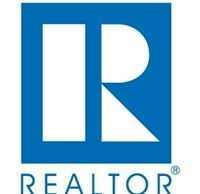 The survey is available at https://www.nar.realtor/reports/realtor-technology-survey.